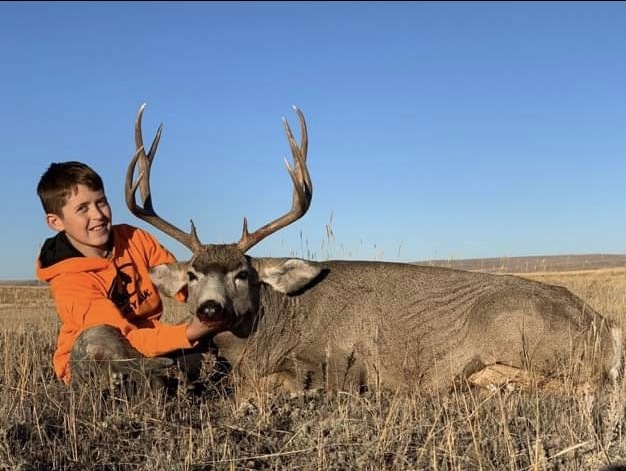 Conner Hoagland, 12, of Glendive got a great muley north of Laurel today. He was hunting with his dad, Brett. They put on a great stalk to get within 100 yards. One shot later .. nice buck down. You saw Conner’s best friend, Trace Bain, on an earlier post with another nice buck. Those two boys are very lucky to have a great mentor like Brett!